Cast-iron pans are beloved pieces of cookware, with a lore all their own. There are whispered secrets of "seasoning" and stern directives that one must never, ever, ever use soap to wash them, also that they are the only thing for making cornbread just right. But they can be tricky to care for, and you may feel overwhelmed by the amount of sometimes conflicting information out there, so we're breaking down the basics of keeping a pre-seasoned cast-iron pan in tiptop shape so you can use it for many, many years to come. So, How Do You Wash a Cast-Iron Pan? You may have heard something about not using soap to wash a cast-iron pan, and that something may have been told to you in such a way that put the fear of God into you, because the NEVER USE SOAP people tend to be very shout-y about their feelings! The problem, they claim, with using soap on a cast-iron pan that's been seasoned with oil is that the soap will cut through that oil. However, as this explainer from Serious Eats, um, explains, the process of heating the oil during seasoning bonds it to the pan as it becomes polymerized, which means that washing the pan with soap will not erode the seasoning. But let's say you want to do it the no-soap way. That's fine too! 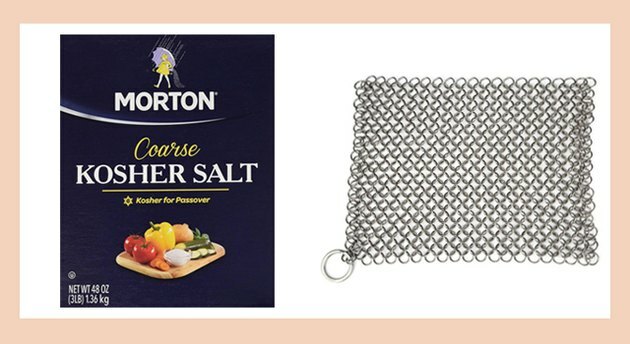 To make up for the lack of soap, you'll need some extra scrubbing power: Chainmail scrubbers are one way to get there, or you could go a little folksier and use coarse kosher salt and a dry dish rag or paper towel to scour your pan. After you've scrubbed, rinse the pan with warm water and dry it thoroughly. 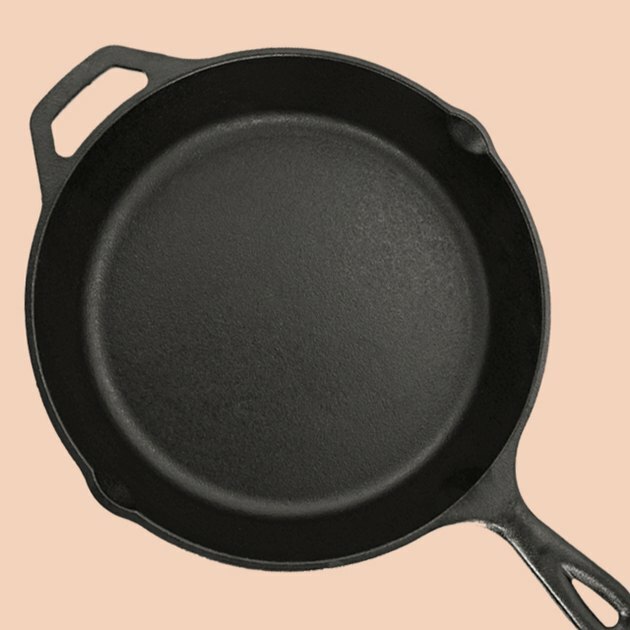 This is actually going to be the most important piece of cast-iron care advice you get today, so let's do this thing in ALL CAPS: Dry off your cast-iron pan IMMEDIATELY after you wash it. Here's why this is so important — cast-iron pans, even very well seasoned ones, can and will develop rust very quickly. You can, of course, use a dishtowel for this operation but be aware that drying cast iron can cause staining on your towel. It's not a bad idea to have a specific dishtowel — either one that's old and already stained, or one that's a dark enough color to obscure stains — just for your cast iron. You can also use the stovetop method of drying, which involves nothing more than setting the wet pan back on the stove, turning the heat on low, and letting the pan dry that way. Paper towels, too, are a good option for drying cast iron without destroying your dishtowels. If you want to level up your cast-iron pan care, and you should because it will really benefit from this type of TLC — after drying it, pour a small amount of cooking oil with a high smoke point (like vegetable or canola) into the pan. Rub it vigorously with a paper towel until the pan looks dry (i.e., is no longer glossy from the fresh oil), then set it on a medium flame for about five minutes. This is essentially a mini-seasoning process that will help boost the pan's nonstick properties, as well as help prevent rusting from moisture in the air. If your cast-iron pan does develop rust (and it's likely that it will, so expect it to happen and don't fret when it does), use the same salt-scouring method that you would to clean the pan. The salt will scrub away any rust. You can also perform this operation using very fine steel wool. After all the rust is gone, re-season the pan and you'll be good to go once more! What Happens If Cast Iron Is Put in the Dishwasher?